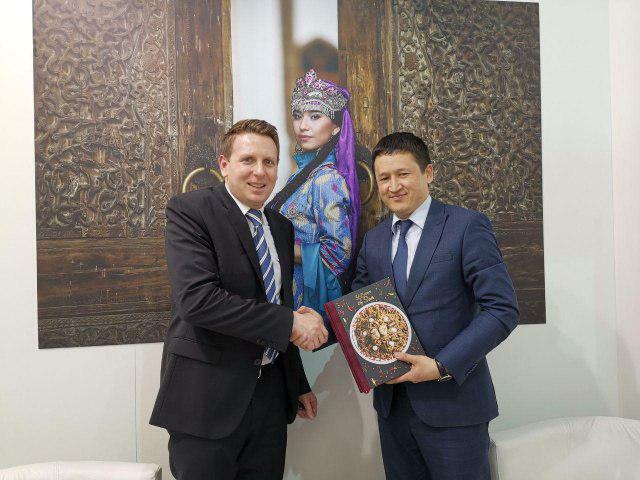 According to the State Committee for Tourism Development, within the framework of ITB Berlin 2019 Travel Trade Show, negotiations were held with Fabian Balz, regional manager of Studiosus Reisen for Central Asia. During the meeting, Fabian Balz highly appreciated the reforms being implemented in the tourism sector of Uzbekistan and emphasized the high tourism potential of our country. Fabian Balz noted that the company has a rule in accordance with which a standard survey among all clients is conducted at the end of each tour. At the end of the meeting Mr. Balz expressed confidence that the figure of 1500 tourists sent by his company to Uzbekistan in 2018 will increase several times in the coming years thanks to measures taken for promoting the tourism potential of Uzbekistan on the one hand, and large-scale measures for development of the tourism sector and infrastructure on the other hand. Liberalization of visa policies, including introduction of a visa-free regime for up to 30 days for German citizens, is another factor triggering interest of tourists.